As strange as this may sound, I actually did not join the nearly 30-year-old epic party that is the Castlevania series until recently. 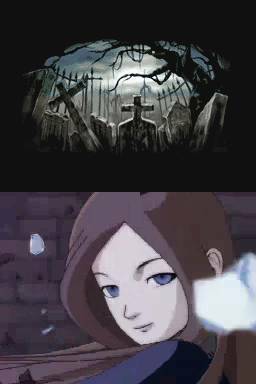 I even missed the part when Alucard came back and spiked the punch with some of that really strong Metroid rum! This is why you can not be fashionably late to these things! 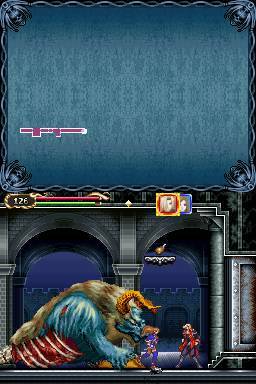 Anyways, the first game that I would try ended up being Castlevania: Portrait of Ruin, and I have to say, I’ve been missing out for a long time. 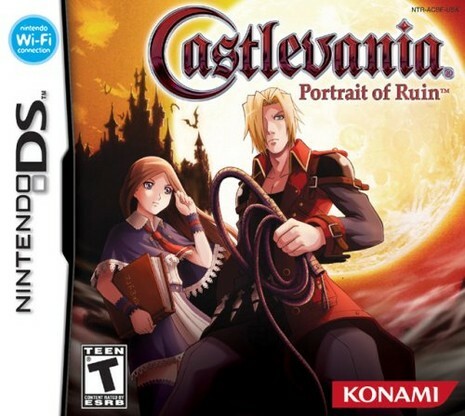 Portrait of Ruin is yet another of the Metroidvania style games, and the second one to appear on the Nintendo DS. This time, however, there is a twist! You now control two characters: Jonathan Morris and Charlotte Aulin. Sega Genesis fanboys may be thinking, “Why does the name Morris sound familiar?” That is because it should! 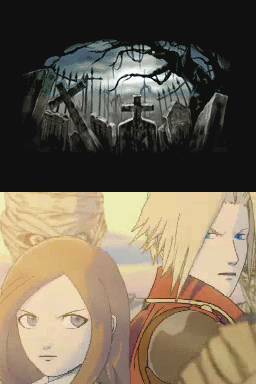 This is the same Morris family you knew and loved from Castlevania: Bloodlines. In fact, Portrait of Ruin is somewhat of a direct follow-up to that game, as you find out what happened to the two heroes from Bloodlines, John Morris and Eric Lecarde. These two are about to clean house! The year is 1944, and Dracula’s Castle has been brought back to life by Brauner, a vampire painter. 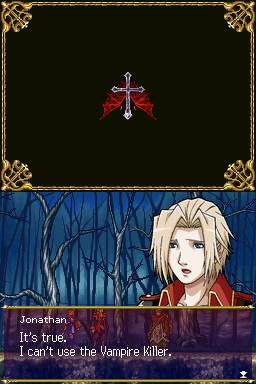 Jonathan gets his hands on the Vampire Killer, the legendary whip passed down through multiple generations of the Belmonts. However, unlike the Belmonts, Jonathan cannot use the whip to its full potential. Jonathan meets up with his childhood friend, Charlotte, and they set off to investigate why the castle has been resurrected, and to find out how he can unlock the true power of the Vampire Killer. While you start off playing as Jonathan, you can switch to Charlotte by hitting the X button. You can also call Charlotte out and have her help you with the A button or summon her to perform an attack Marvel vs Capcom-style with the R button. The two characters can also do a team attack where both appear on-screen and perform a massive attack for mega damage. While you can go through most of the game only using one of the characters, there are parts of the game and puzzles that will require you to have both characters out and use them simultaneously. Those ghouls have no place to hide! DON’T MAKE ME PIE YOU! Charlotte, on the other hand, uses magical books and can cast spells. She can cast offensive ice, fire or wind-based magic, healing spells, summon certain enemies or transform herself or Jonathan into a toad or owl. I really like her double jump animation, as she makes a broom appear underneath her and rides it for a bit. While it may seem that Jonathan would be the one to use throughout the game, Charlotte’s spells are incredibly powerful, and can easily take out certain enemies, but can take a while to cast. 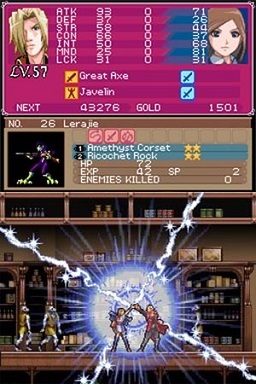 However, with some spells, spending more time charging them up will increase the power of the attack. Despite that, I actually had a lot of fun playing as just her in certain parts of the game! She likes what I had to say about her! Guys, I think she likes me!